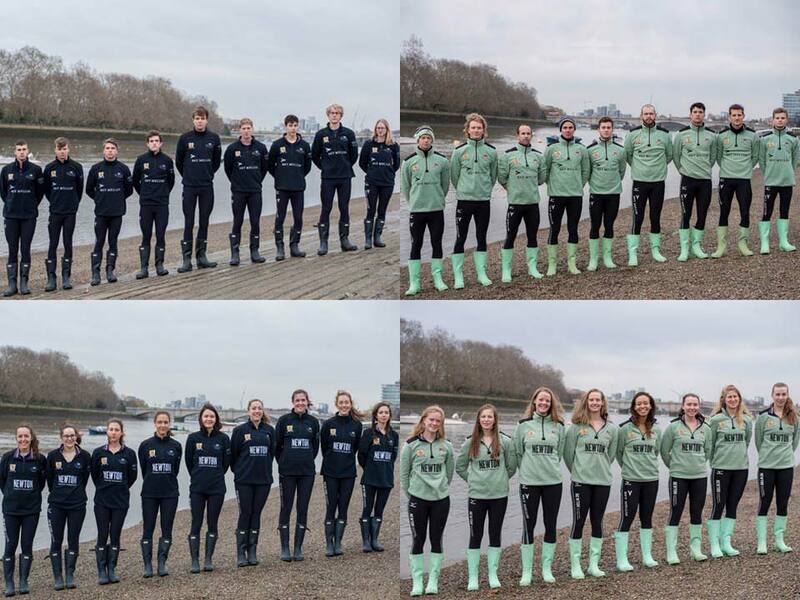 Thursday afternoon saw the clubs take to the stakeboats to practice their starts ahead of The Cancer Research UK Boat Race. All four Blue Boats plus reserve crews took their turn to attach, prepare and complete an opening 30 or so strokes up past Putney Embankment. The start sequence is a tricky one for even the most established international crew. The wind and stream can affect the run and movement of the shell, making it difficult to attach to the stake-boat. Upon attaching, each crew will undergo any final preparations, whether that be taking on fluid, shedding layers or taking a deep breath and steadying themselves for the race ahead. The coxes, while raising their hand in the air, will attempt to get their boat straight, and the umpire will wait until both coxes’ hands are down (a hand down signifies that the crew are happy with the line and ready to get the race underway). The practice starts passed without significant incident, as all crews managed to deal with a strong breeze and moving water reasonably comfortably. Both Cambridge crews perhaps edged their opponents in terms of style, but with the whirr of a helicopter and the noise of thousands on Race day, the result may be altogether different.